You made mention, in your original post ,of a 1% sugar concentration. I wondered if you had tried 1% sugar rather than 2 % & if so which you preferred? Was thinking of replacing 1/2 the sugar, in the injection stage, with honey. One more thing:Was the 12 days in the fridge purely for your particular size joint-ie 2 days per inch +2days? If your going to use honey I would inject all of it as rubbing honey can get a bit messy. How much do I inject and how much is rub? Sorry for asking stupid questions. If possible could you please send me a step by step? decide the percentages of your salt and sugar and calculate these into actual weights not forgetting the 2.25 gms of cure per kilo. add these together and then halve it. You want 60 gms of brine per kilo of meat.calculate this So subtract the salt sugar etc. from the brine total this will be your liquid. The other half of salt etc gets rubbed. For the brine I came up with 1% sugar, .25% cure #1, .75% salt, and 4% water for a total of 6%. For the dry rub portion I would use the same percentages except leave out the cure #1 correct?? I still need the cure #1 for the rub but it is only the water I dont need correct? Also does this formula work this skin on and skin off or do I lower the amount of cure #1 for without skin? Kevin keep it all on the other thread. I tried this procedure (before I read that Jim had improved it, hard to believe BTW) and thought it was fantastic. Two small tips I can offer: first, I injected half the brine from each end of a pork loin and used a piece of plastic netting to keep track of where I'd injected (I'm very methodical), and second, to refill the syringe, try sticking the needle in the meat, filling the barrel, adding the plunger, inverting, remove from meat, and then pushing out the air. I used the term improved when I should maybe have said different. For a picnic, I would likely allow extra time for the salt to equalize throughout depending on the size of the picnic. 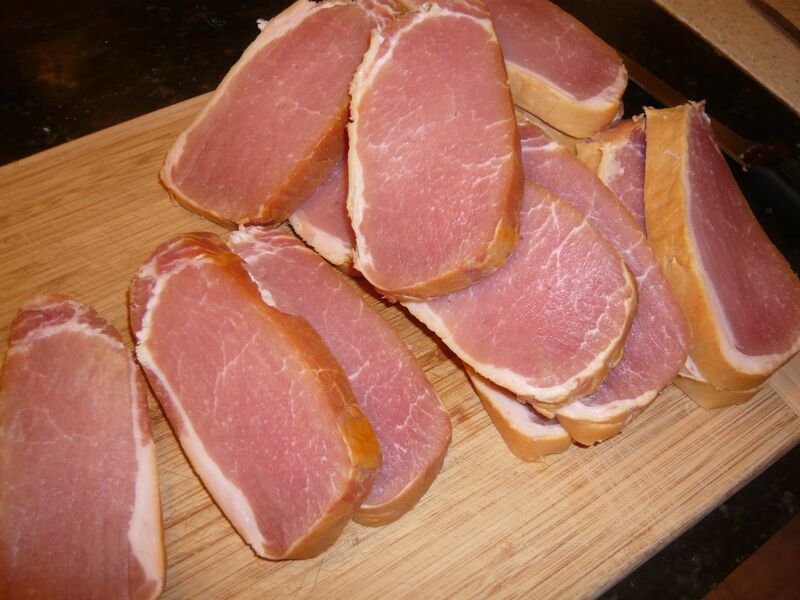 There are other good ham cures on wheels' blog site as well (I'm partial to the Pauline ham cure). Oh blimey, I said I'd do a calculator for this and haven't. I'll get on to it. It's a fantastic way of curing. Yes, you can use it for a shoulder (Picnic), just do what NCPaul said regarding equalization. If you want, post the figures here and one of us will make sure that it's all hunky-dory. This is what I have: Picnic= 4182 grams, bone in, with a little skin on the bottom. Based on 2% salt and 1% sugar I come up with a total of, rounded, 74 grams of salt and 42 grams of sugar. For cure #1 I come up with 10.44 grams. So I take the salt and sugar totals halve them, 37 grams of salt and 21 grams of sugar. I then add these two ingridents to the 10.44 grams of cure with 120 grams of water, for injection. 0ne cup of water equals 120 grams water correct? Where did the water amount come from percent wise to weight of meat? I then inject as equally as I can paying special attention to the areas where bones are. Wrap on plastic wrap and into a plastic bag. This is to big for my vacuum sealer unfortunately. I know the number of curing days required is up in the air but what would be a good safe time frame? Also how would one check short of cutting into the meat? Your initial calculation is spot on. The injection calculation is that you are injecting at 6% of the meat's weight. So the total injection should be 251g. Of this there'll be 37g salt, 21g sugar, and 10g cure - Total = 68g. So you need 251 - 68 = 183gm water. I'd concentrate on the centre of the meat and around the bone for the injection, inject all over, but concentrate more in those areas. The dry cure should take care of the outside parts, rub it in. Wrap it well and put it a plastic bag drawing as much air out as you can. It's a big chunk of meat so I'd guess around 15 - 20 days curing. I'd like some other opinions on that time though as I've no great experience of this method.